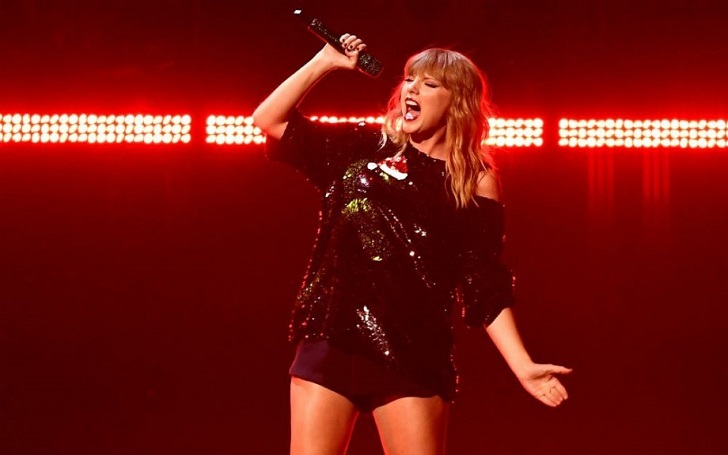 Taylor Swift performed Gorgeous on the Reputation tour's first show on Tuesday night and she had dedicated the song for a special person in the audience: her actor-boyfriend, Joe Alwyn. The 28-year-old songstress certainly kicked off her tour at the University of Phoenix Stadium in Glendale, Arizona, in a big way. The Love Story singer's massive production featured giant snake statues, killer dance moves, and a series of her hit songs. When the time to sing one of her newer tunes, 'Gorgeous' came, fans quickly started looking for Taylor's 27-year-old boyfriend, Joe in the massive crowd and spotted him sipping on a drink and enjoying his girlfriend's performance. Prompting a massive cheer, Taylor ended the song by pointing directly at Joe. The single has long been rumored to be about the British actor. The couple reportedly started dating in May 2017 and since they have kept their romance very private. Taylor and Joe have only been spotted together several times, and never at any public event or red carpet.